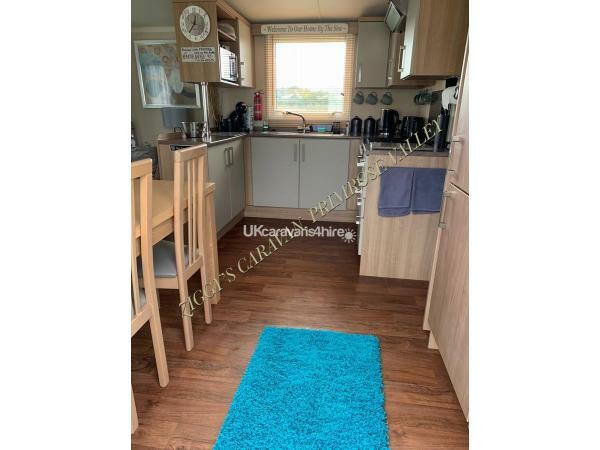 Our family owned caravan is on Eskdale in a quiet cul de sac, secure wrap around veranda, and own drive, it has mains gas, electric, and water supplies all included in the price. NEW FOR 2019 - ACCESS PATHWAY TO THE BEACH!! FROM ESKDALE THROUGH THE SEABIRDS PITCHES LEADING TO THE BEACH ACCESS ROAD AT THE SIDE OF THE BAY. ALSO AN EASIER ROUTE TO THE MAIN COMPLEX! 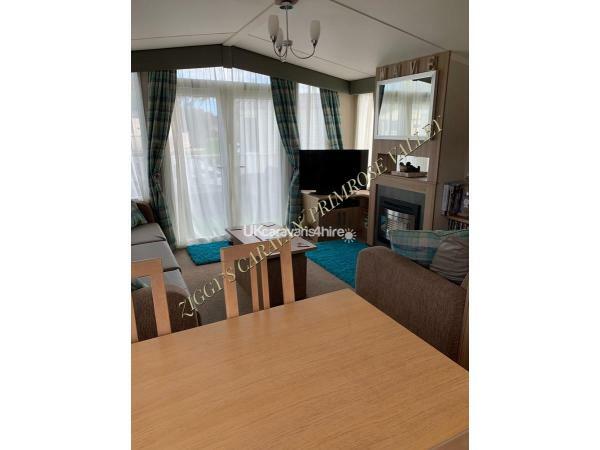 Our caravan has double front French doors in the living room, which open out to the outdoor seating area, with lovely unobstructed views across the pond, expect the occasional visit from the ducks and the moor hens! 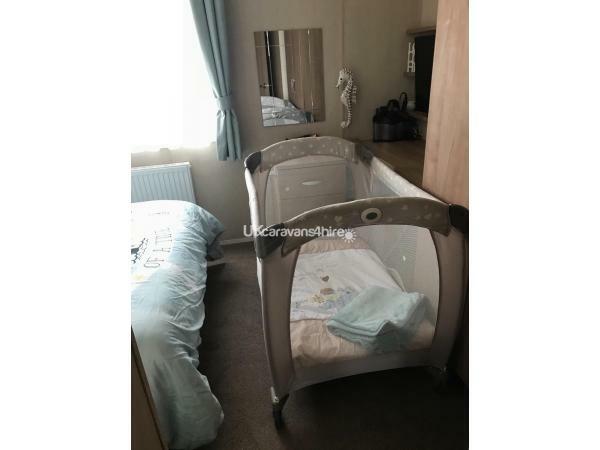 Fully Gas Central Heated & Double Glazing! And comes fully equipped with all mod cons and the much needed essentials including FREE WI-FI & FULL SKY TV IN THE ROOM AND MAIN BEDROOM. PLEASE NOTE BATH TOWELS ARE NOT PROVIDED, dishcloth, two tea towels and two hand towels will be provided. Guests will have essentials like washing up liquid, tea, coffee, sugar, juice, black bags, toilet rolls, kitchen rolls and various other cleaning products. 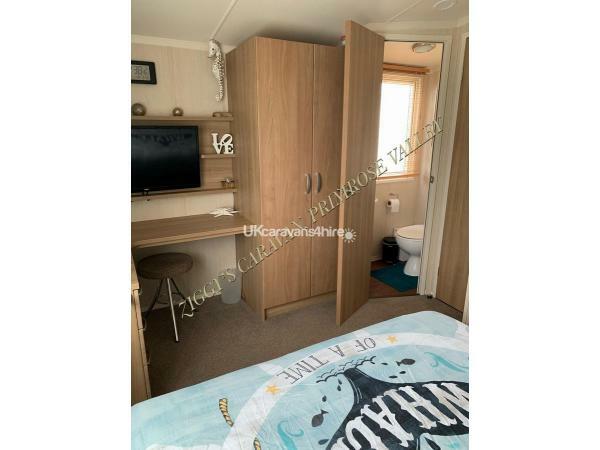 CHECK IN for our caravan is 3pm (if the cleaners have it ready any earlier I will notify you so you can start your holiday early) and check out time on your departure date is 11am. Our keys are kept in a key safe box which is fitted to the caravan. 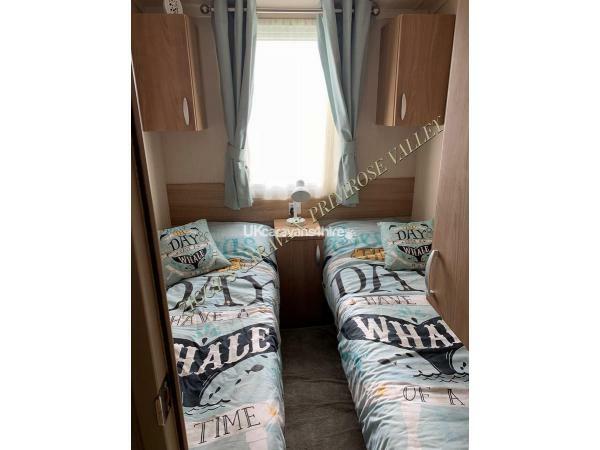 The code to open the key safe box will be sent to you on the morning of your holiday, on your departure we ask for caravan to be left clean, tidy and fully secured with the keys returned back to the key safe box. THAT PASSES FOR THE COMPLEX ONSITE ARE NOT INCLUDED IN THE PRICE AND ARE TO BE PURCHASED FROM RECEPTION UPON ARRIVAL IF YOU WISH TO USE THE PARKS FACILITIES. For the safety of our guests there is a fire plan displayed and the caravan is equipped with fire extinguishers, fire blanket, smoke alarm, carbon monoxide alarm and windows open in every room. Occupancy: prices are mainly quoted for Monday to Friday but if your wanting Monday to Monday or Friday to Friday there is a discount for booking 7 nights. *Not suitable for people with allergies due to disability dogs visiting occasionally. Please ring or email to book or ask any questions. 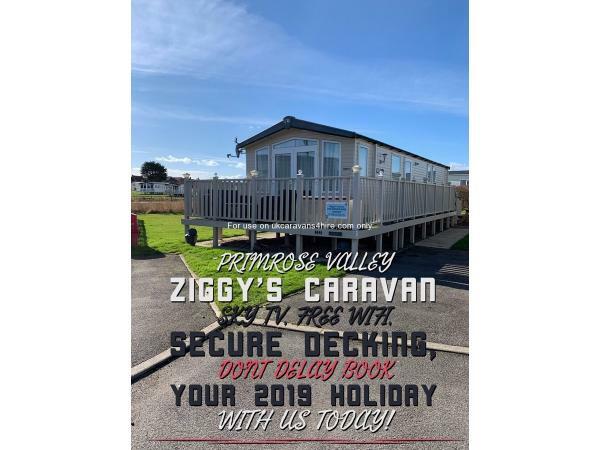 ZIGGY’S CARAVAN, PRIMROSE VALLEY HOLIDAY PARK, YO14 9RF. On-Site: Pub The Mash & Barrel sky sports, karaoke and food, live evening entertainment in the showbar, bingo, seaside squad plus daily entertainment, prize bingo in the live lounge, Amusement Arcade with soft play, pool tables, 5d cinema, pic n paint, Indoor Pool with slides and water sports, Kids Club, Millie’s Cookies, Papa John’s Pizza, Cooks fish and chips, West Pier Restaurant, Mini market with free ATM, Starbucks, Go-Kart hire, Segways, and children’s play areas with plenty of grassed areas for playing ball games. Various lakes, ponds with nature walks and plenty of wildlife to be seen. Look out for the blue puffer train, hop on for a small fee to take you around the park. Local Tesco supermarket in filey. Local buses run from the parks reception to various locations as well as making stops at other haven parks. Additional Info: NEW FOR 2019 - ACCESS PATHWAY TO THE BEACH!! FROM ESKDALE THROUGH THE SEABIRDS PITCHES LEADING TO THE BEACH ACCESS ROAD AT THE SIDE OF THE BAY. ALSO AN EASIER ROUTE TO THE MAIN COMPLEX! After spending a week at Ziggys Caravan, I can confidently say that we found the caravan very welcoming. It was very clean, spacious and was just like being at home with everything there that we needed. The beds were very comfortable also. 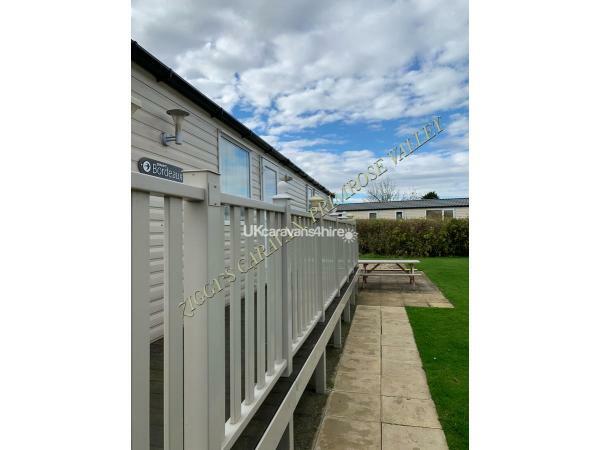 It is situated in a nice, quiet area and was lovely to be able to sit out on the decking. It was a bonus that there were lots of different menus for takeaways/chinese/cafes etc so we could get food delivered to the caravan. We really enjoyed ourselves and would strongly recommend staying here! 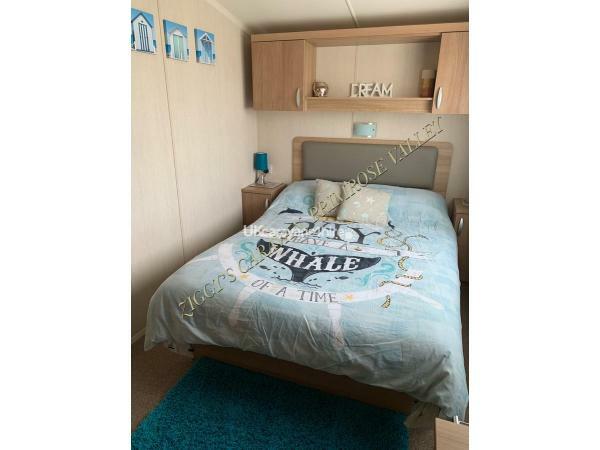 Beautiful, comfortable and clean caravan set in a lovely quiet area of park. The caravan has much more than expected i.e. wifi, games console, dvds. The decking seating area is a real bonus and looks lovely at night when the lights come on. Will highly recommend and book again. 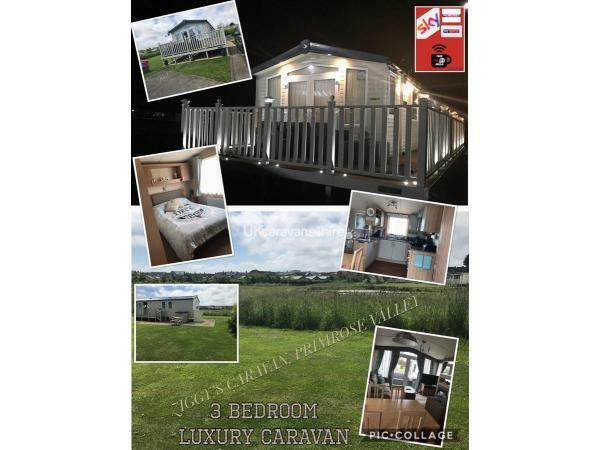 Such a beautiful caravan situated in a nice, quiet area not too far from the main complex. It’s very well looked after and was spotless when we arrived. The caravan is well equipped with everything you could possibly need including Wifi and Sky which was a bonus! There’s also lots of extra touches which you wouldn’t expect. The decking area is lovely and we enjoyed sitting out in the sun. Would definitely recommend staying here. Thanks again Helen and Mark. 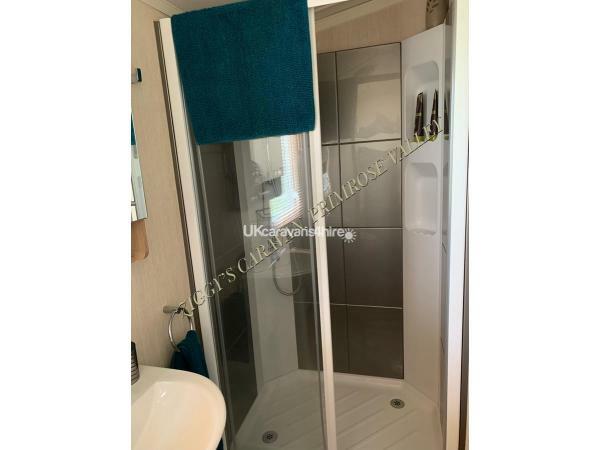 The caravan is lovely and comfortable and clean. It had everything wot you need. And also had TV in every room. Everything is near by. And easy to get to. And lots of things for kids to do. I highly recommend booking this caravan. 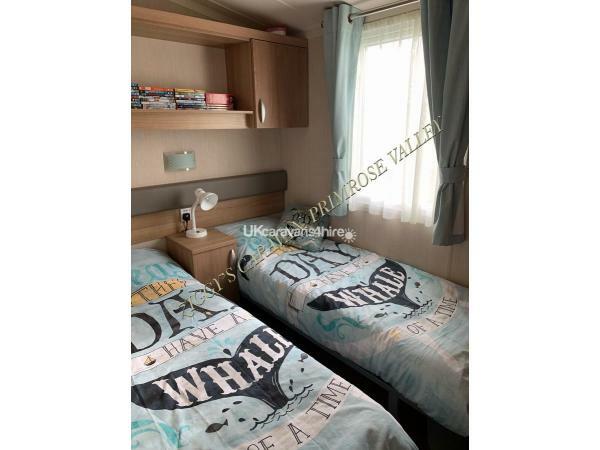 The caravan was lovely, clean and tidy. 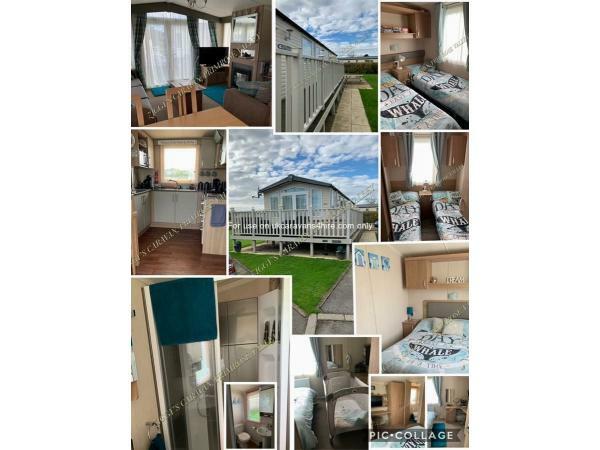 Its got everything you have at home, plus wifi a bonus :). Very impressed with the customer service and the welcome folder. We enjoyed are stay and will stay in the future, would highly recommend .